Painting the Sky, a dual-registered Thoroughbred/Paint 3-year-old filly, is entered in the featured eighth race on Thursday night at Evangeline Downs. She is owned by Sandra New and is trained by Brett Brinkman. Thursday's race will be her career turf debut. Her four previous starts had been over the main track at Delta Downs. She is working a two-race winning streak entering the Thursday race. She scored a maiden-breaking victory at odds of 7-1 on February 20 by three-quarters of a length. The filly then followed that up with an allowance win on March 11 at longer odds of 13-1. Painting the Sky closed aggressively to get up and win by a nose in this second victory. She was ridden on both occasions by Junior Inirio, who will once again have the ride at Evangeline Downs. Getting a third consecutive win might by a tall order for Painting the Sky on Thursday. She is listed on the morning line at odds of 10-1 in the field of nine. The morning line favorite in the eighth race is 3-1 shot, Nice Number, who is trained by Sturges Ducoing and will be ridden by Evangeline Downs leading rider, Colby Hernandez. Painting the Sky is a Louisiana-bred filly by Yankee Gentleman. She is out of the Lone Star Sky mare, Lone Star Quest. Post time on the nine-race program on Thursday night at Evangeline Downs is 5:50 pm Central time. 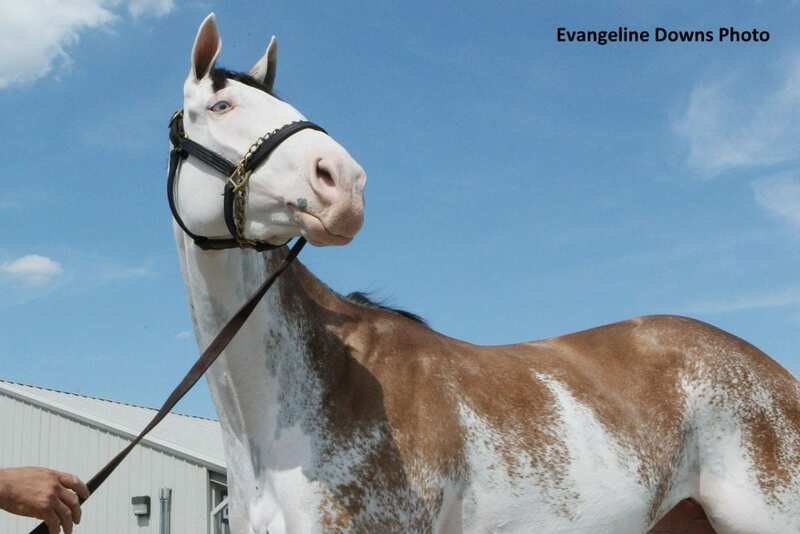 This entry was posted in Racing and tagged brett brinkman, evangeline downs, overo paint thoroughbred, painting the sky, Yankee Gentleman by Press Release. Bookmark the permalink.